Large and complex software systems, such as Internet applications, depend on distributed applications. Although Java has helped reduce the complexity of distributed systems, developers still have to contend with diverse hardware platforms, remote communication over networks, and system failures. 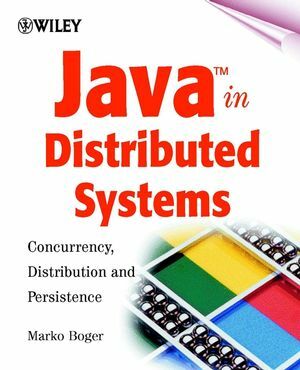 Java in Distributed Systems provides a comprehensive guide for anyone wishing to deepen their knowledge of Java in distributed applications. Beginning with a tutorial guide to distributed programming in the Java environment, it shows you how building blocks from threads to Jini can help you to fulfil Sun's vision, that 'the Network is the Computer'. It then goes on to focus on aspects that are still challenging researchers such as concurrency, distribution, and persistence. Marko Boger is the author of Java in Distributed Systems: Concurrency, Distribution and Persistence, published by Wiley. Distributed Programming Languages and Concurrency. Appendix A: The Chat Interface. Appendix B: The BulletinBoard Interface.